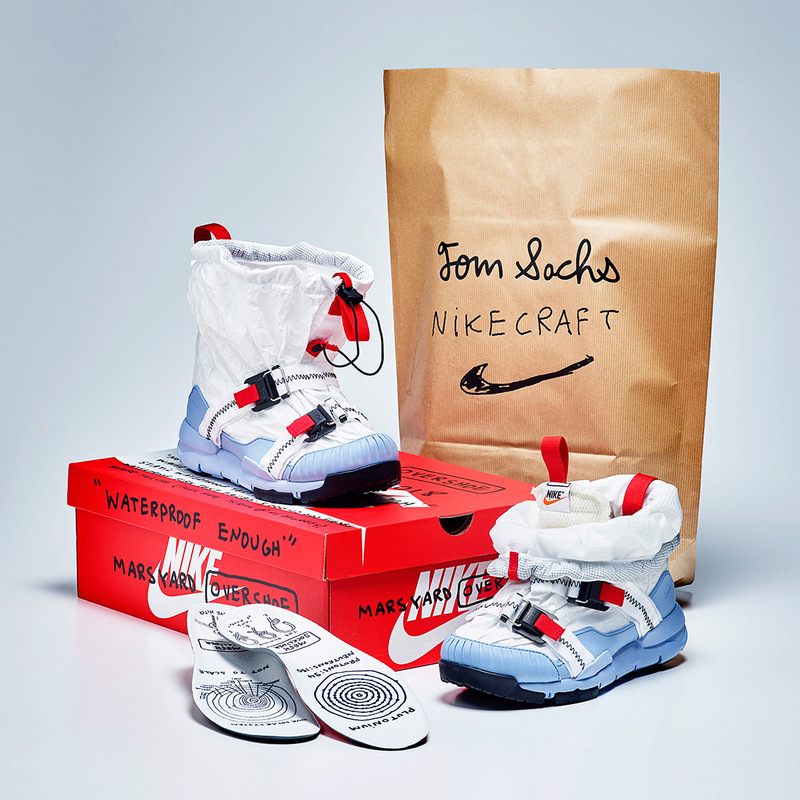 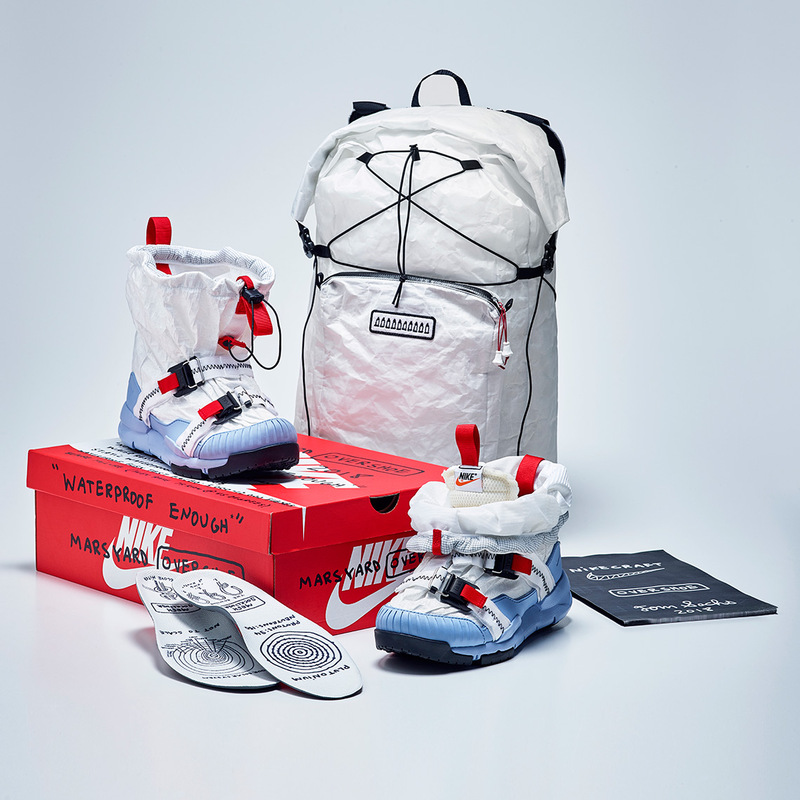 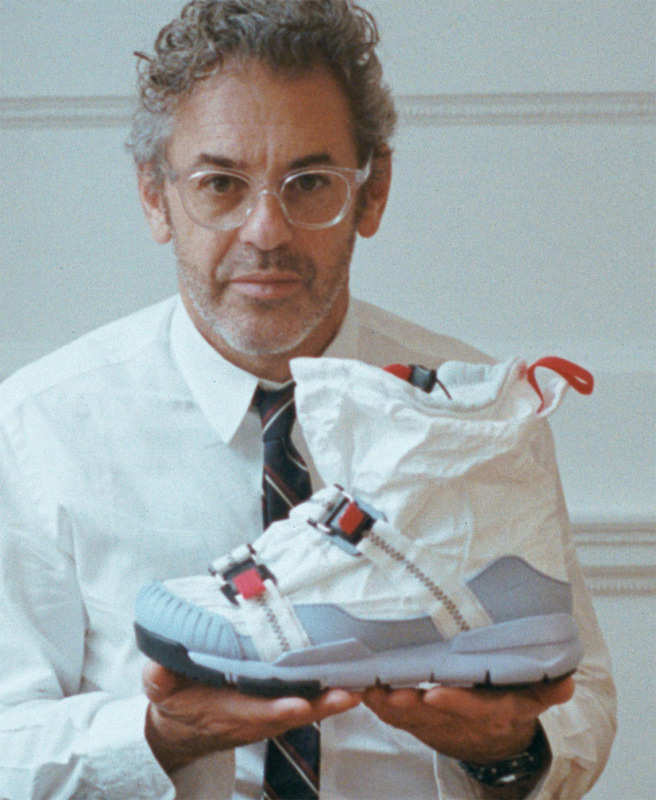 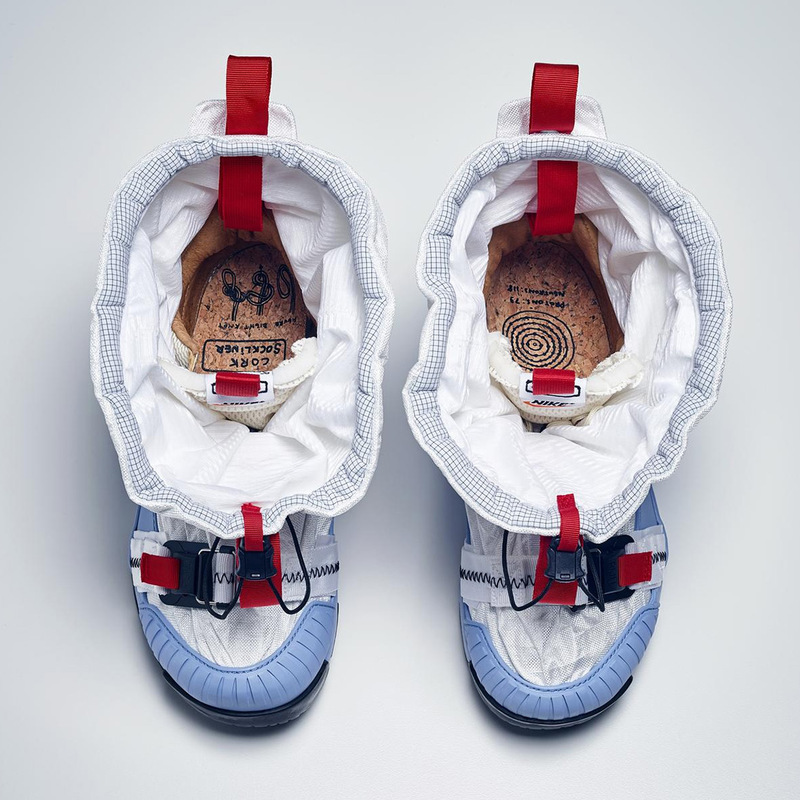 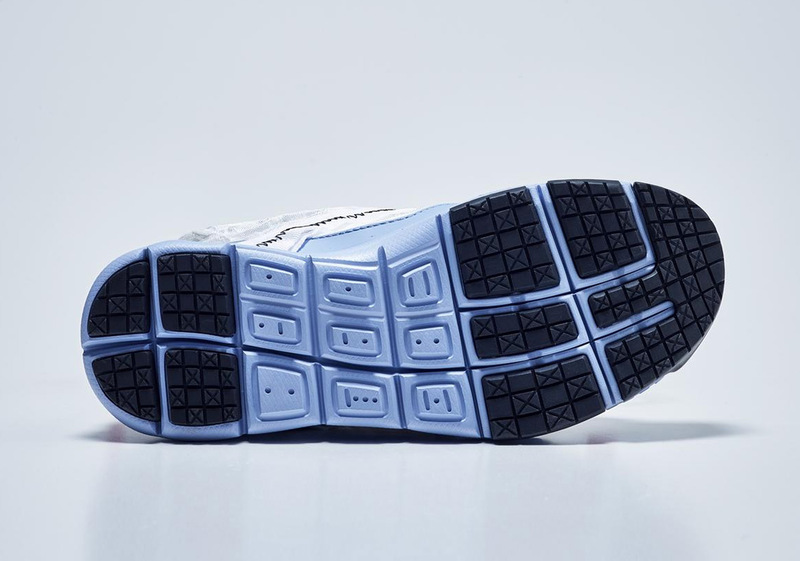 Artist and visionary Tom Sachs has created a third overall sneaker collaboration with Nike, extending his Mars Yard perspective with a new Overshoe. 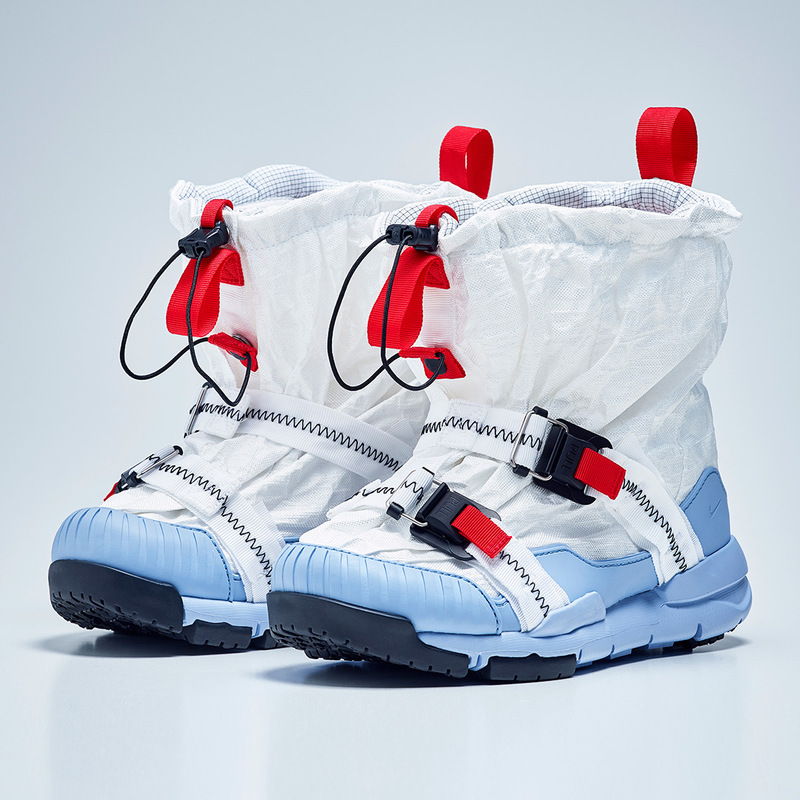 This quirky boot-like piece is meant to protect your feet against all climates, with the shoe’s nickname of “Marchyard” pointing to that specific month as one of the most inclement of the year. 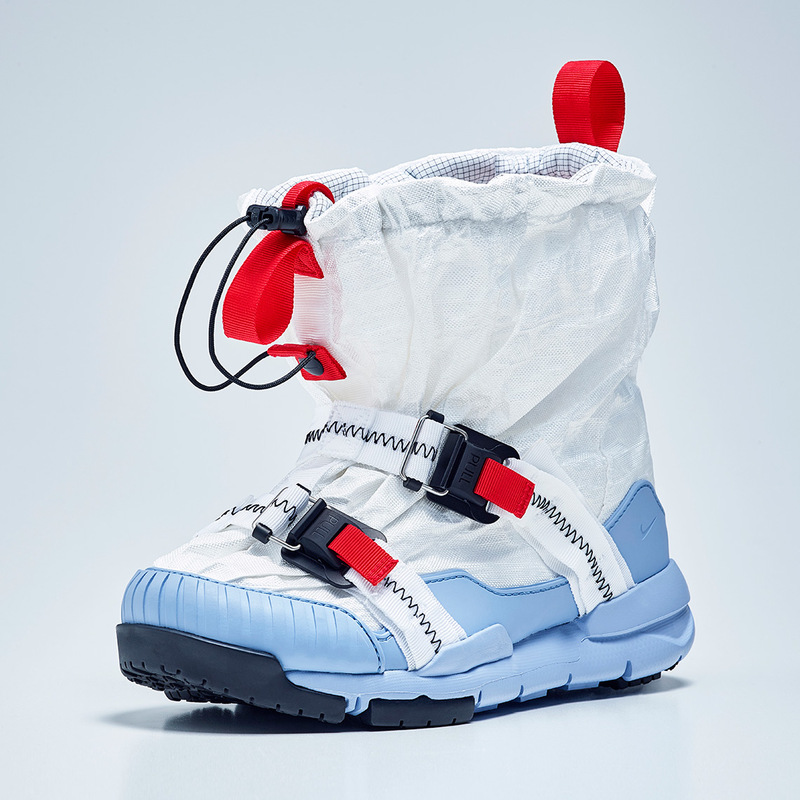 The construction begins with the Mars Yard 2.0 from 2017 with an exterior shroud built with various types of nylon and polyester for full protection, while two Fidlock magnetic buckles to keep the wrap in place. 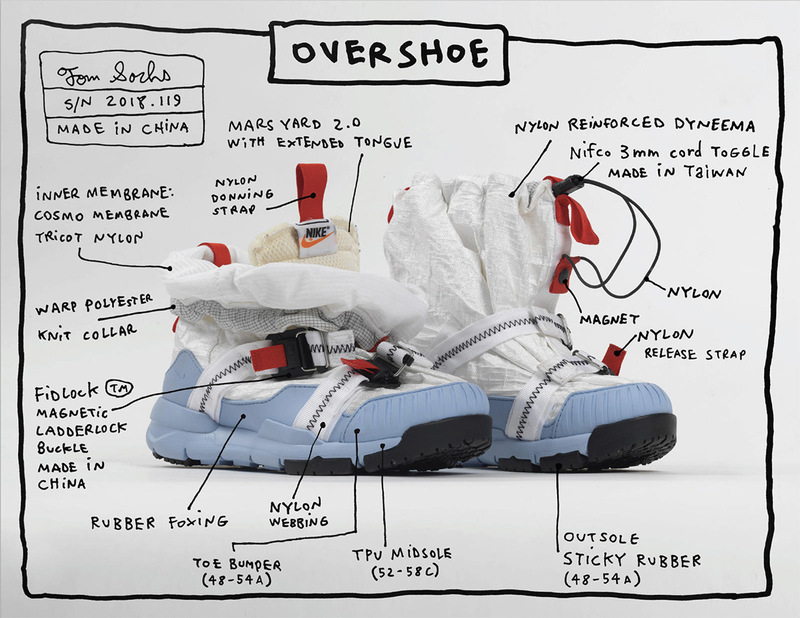 The diagram below details all of the technical specs that went into the structure. 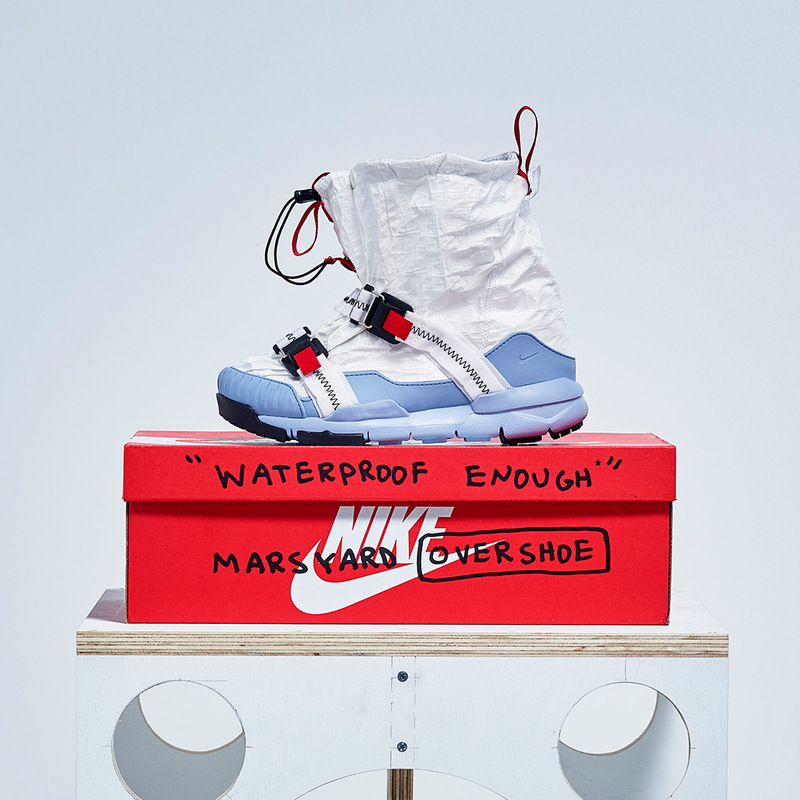 The Tom Sachs x Nike Mars Yard Overshoe will first release on October 11th exclusively at Dover Street Market London via an online raffle. 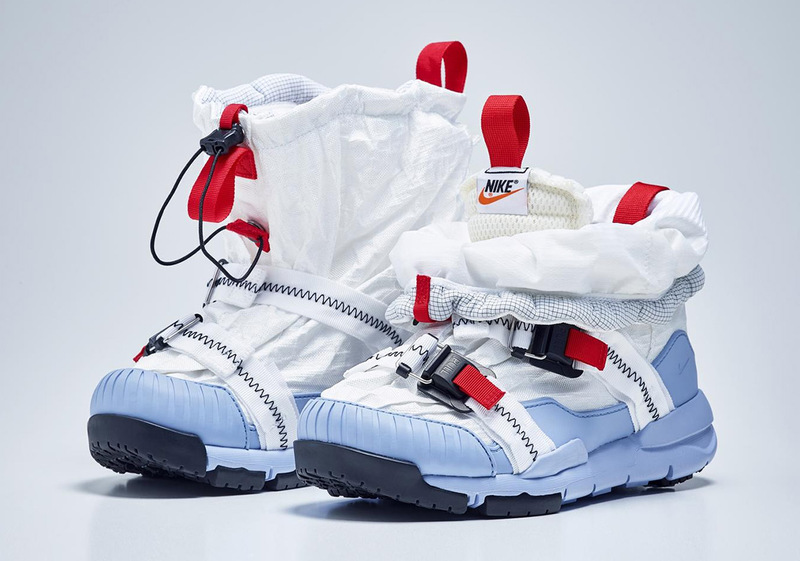 A wider release will be announced at a later date. 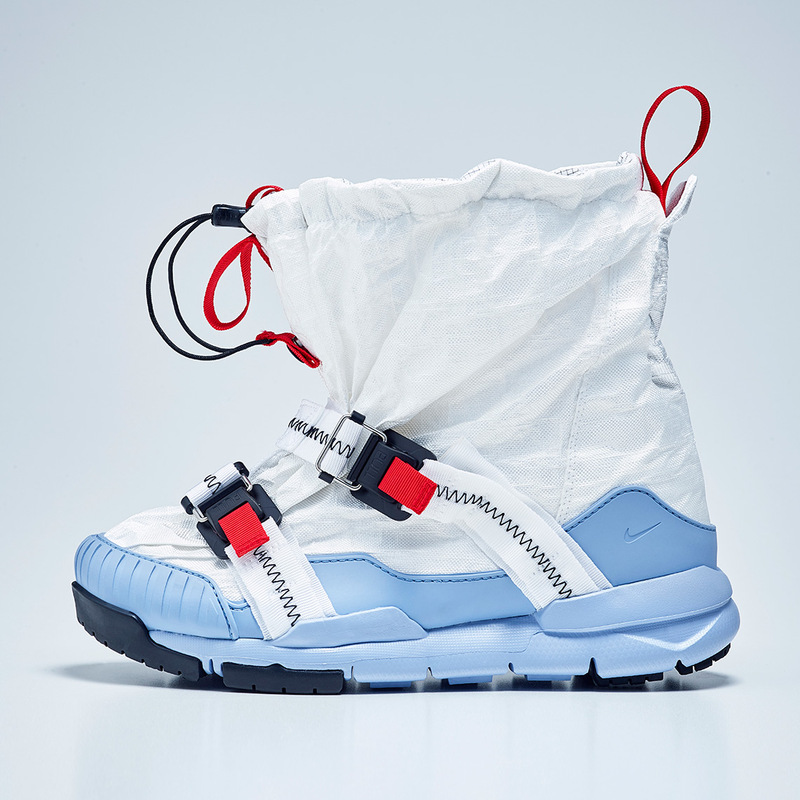 Updated October 8th, 2018: The raffle for the shoes is live now at DSM London.